The laboratory is interested in understanding how fibroblasts convert into myofibroblasts during disease stimulation to help mediate tissue remodeling. In the heart cardiac fibrosis and dilated or concentric remodeling of the ventricles are associated with fibroblast activation and the acquisition of the myofibroblast state, which allows for production and secretion of abundant collagen and other extracellular matrix proteins. 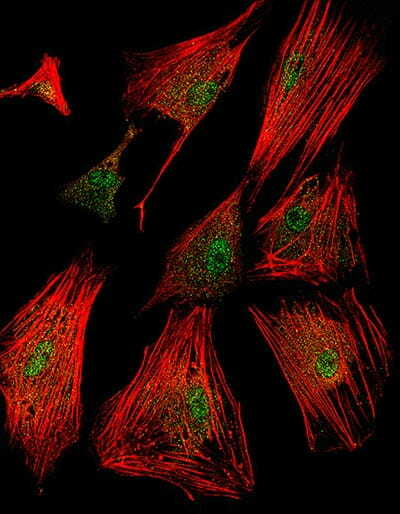 These myofibroblasts also help remodel the ventricle during heart failure, which is thought to be pathologic. Alternatively, fibroblast activation immediately after myocardial infarction injury is beneficial in generating a fibrotic scar that prevents the ventricle from rupturing as the myocytes slowly undergo necrosis. We are interested in the signaling pathways and transcriptional regulators that mediate fibroblast activation and the myofibroblast phenotype, with the goal of identifying novel targets that could have an antifibrotic effect if the proper drug was formulated.